Personalized Embroidered Metro Tote Bag. 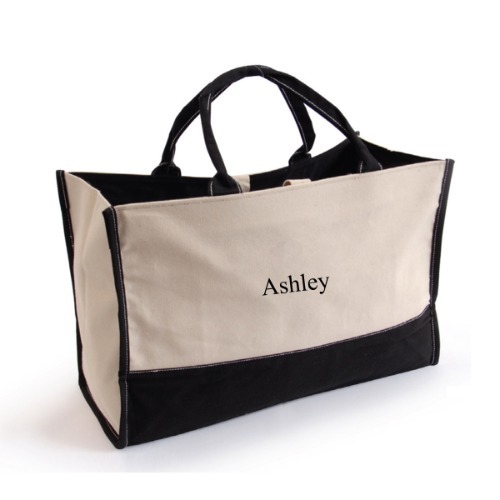 This attractive and sturdy personalized tote bag can haul just about anything, from personal items and office supplies to your favorite puppy! Ideal for those times when a large bag is too cumbersome, this smaller lightweight tote is fashioned in black and tan and has sturdy handles for easy carrying. This is the perfect gift for an office gift, wedding gift, birthday gift, family gift or any occasion.